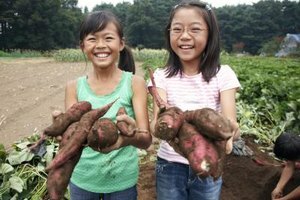 Freezing helps you enjoy a large harvest of sweet potatoes all year. 1 Do Potatoes Go Bad When They Freeze? 2 How Long Does Banana Bread Stay Fresh? 4 Can You Freeze Uncooked White Potatoes? Boiling and mashing is an ideal way to prepare sweet potatoes for freezing. If you've grown a bumper crop of sweet potatoes in your garden, or purchased a bushel at your farmers market, you need a way to preserve them for the months ahead. Even stored in a cool, dry environment, sweet potatoes have a short shelf life. To preserve their quality and nutritional value for several months, boil them, mash them and pack them in containers for freezing. Bag individual serving sizes for speedy reheating. Choose the freshest sweet potatoes you can find. They should be free from blemishes or gashes, and uniformly colored. Blemishes lead to early decay and may indicate a spoiled interior. If possible, let freshly harvested potatoes cure, or sit in a room hotter than 80 degrees Fahrenheit, for one week before boiling them for freezing. This allows the enzymes that create the potatoes' sweet flavor to develop. Pack the mashed sweet potatoes into freezer-safe containers. Leave a 1/2-inch space at the top of each container for expansion. Seal the containers completely, covering, if needed, with a layer of plastic wrap or freezer paper. This will help seal the container and preserve moisture, the loss of which leads to freezer burn. Freeze the containers immediately. 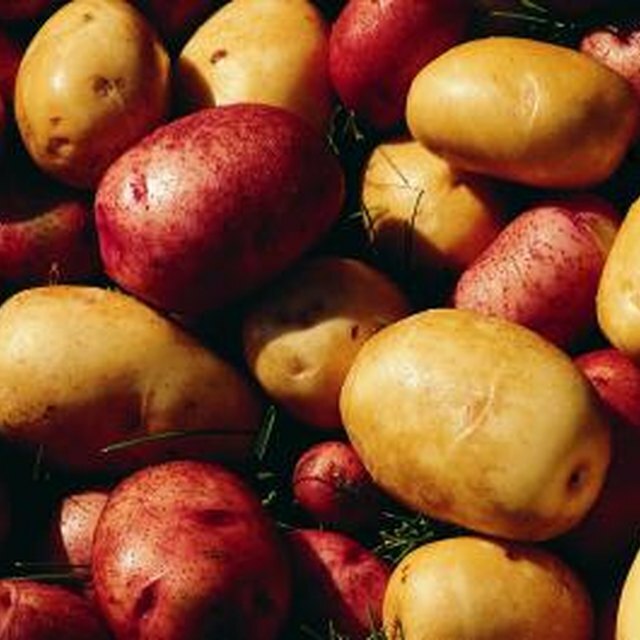 To retain more of the potatoes' nutrition, which can leach out during boiling, consider steaming the potatoes before freezing. Bring about 2 inches of water to boil in a large pan. Slice potatoes into 1/2-inch pieces and place them in a steamer (metal or bamboo) that fits into the pan without letting the potatoes touch the boiling water. Steam them for 7 minutes. For extra flavor, steam garlic and onions with the potatoes. While mashing for freezing, consider adding spices such as cinnamon, nutmeg or cloves. Sweet potatoes will keep best in a freezer that stays at 0 degrees Fahrenheit and has no defrosting cycles. Boiled and mashed sweet potatoes will maintain color, flavor and overall quality for up to 12 months in the freezer. The USDA recommends using one of three safe methods for thawing frozen foods: in a refrigerator, in cold water or in the microwave. Only these methods will keep the food at a temperature that inhibits bacteria growth. Frozen sweet potatoes can, however, be cooked without thawing, though the process takes about twice as long. Laura McGowan has written and edited for universities and educational publishers for more than 13 years. She has also covered gardening and wild plant and animal life of Illinois and brings expertise in vegan and vegetarian cooking, Apple computers and Labrador Retrievers. McGowan holds a Master of Arts in English literature. Are Potatoes Healthy to Eat? How Do I Freeze Homemade Hash Browns?